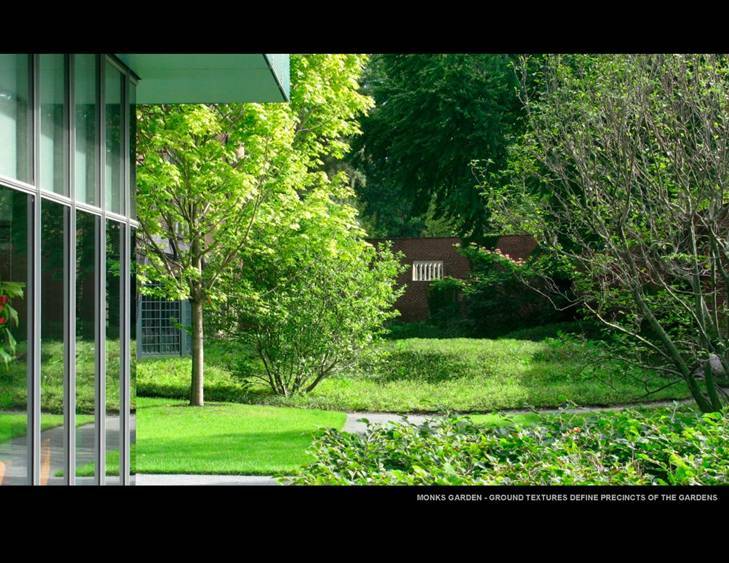 The new gardens of the Isabella Stewart Gardner Museum are a series of six contiguous spaces planted with a carefully curated collection of plant species. 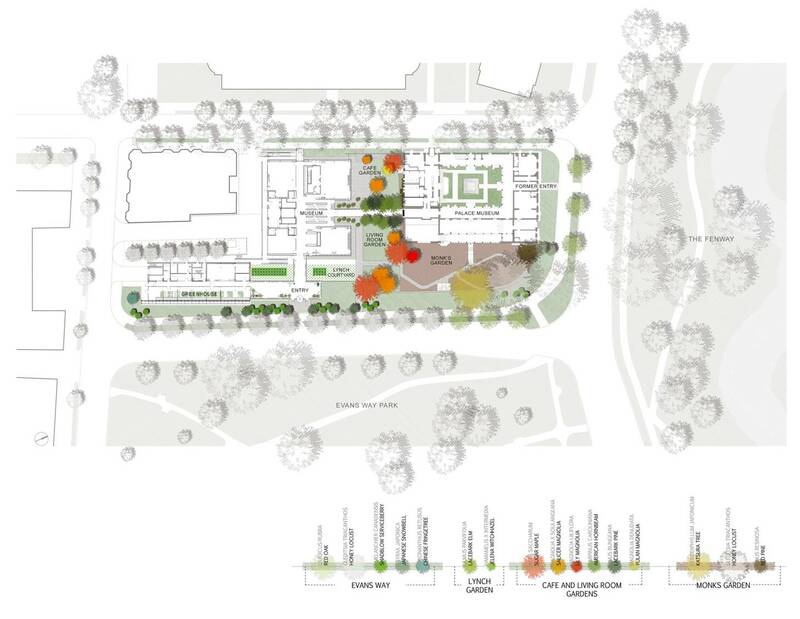 The six spaces – Evans Way Public Entrance, Living Room Garden, Cafe Garden, Monk’s Garden, Lynch Courtyard Garden, and the new Public Greenhouse – ensure that museum visitors are engaged in the creative life of the Museum and connected with Isabella Gardner’s legacy through inspiring encounters with gardens and horticulture. The Gardens of the Isabella Stewart Gardner Museum are located along The Back Bay Fens in Boston, Massachusetts. The project is a series of visually linked gardens encompassing 12,000 square feet which opened to the public in January 2012. The design and construction budgets are undisclosed. On New Year’s night in 1903, Isabella Stewart Gardner opened the doors of her Boston residence to the public and, as stated by the current Museum Director, “presented a new context for art in America by creating a museum where visitors experienced music, the beauty of gardens, and historic and contemporary art, all in the highly personal setting of her courtyard palace.” Her house museum is a curatorial tour de force that includes paintings, sculpture, objects, and gardens. She also hosted and supported notable musicians, intellectuals, and artists as a patron and it is in this spirit of patronage that the expansion of the Isabella Stewart Gardner Museum was realized in order to enhance the music program, the scholarship and curatorial mission of the Museum, the vitality of the contemporary arts program, and the horticultural and garden programs. This clear directive to build inspiring encounters with art, music, and horticulture led to the decision to expand the museum. The building expansion sits to the west of the Palace Museum, as the original museum is known, and is connected by a narrow glass corridor. Entrance to the Museum has been reoriented from the original Palace Museum doors which faced onto the Back Bay Fens to a new entrance that fronts the Evans Way Park, a remnant of Olmsted’s vision of connecting the Fens to Parker Hill to the west. The new entrance location provides greater visitor amenities and, importantly, relieves the wear of thousands of annual visitors on the historic Palace Museum. 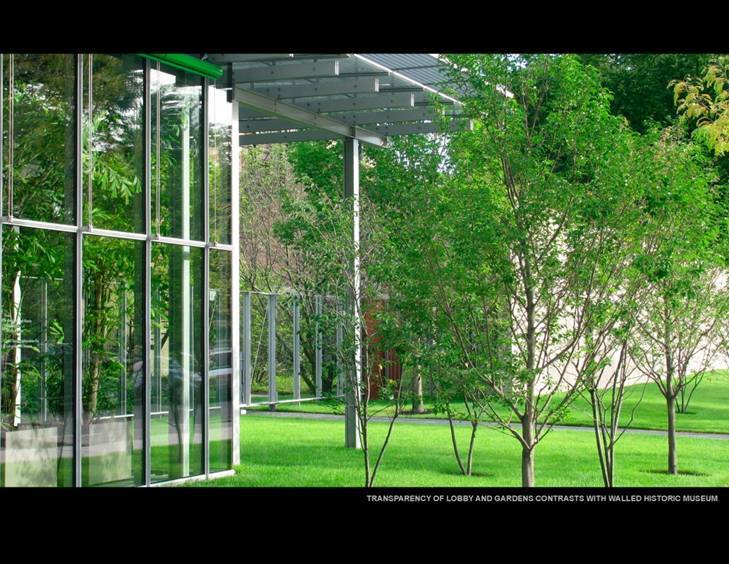 Transparent glass fences enclose the perimeter of the site and provide visual transparency from Evans Way Park through the gardens to Palace Road — with its mature allée of Ginkgo biloba trees. The public spaces (cafe, classrooms, and the living room) are clustered on the ground floor of the expansion which is enclosed by floor to ceiling glass walls while the gallery, music hall, offices, and laboratories occupy a copper-clad volume above. This strategy of visual transparency is a compelling contrast with the Palace Museum whose masonry walls impart a strong sense of perimeter enclosure. 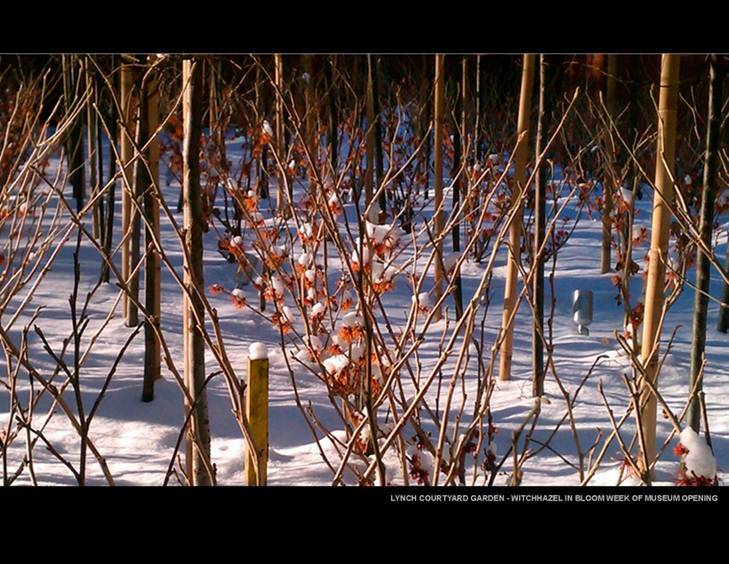 Two parallel rows of seven evenly-spaced tree-form Styrax japonica (snowbell) are interspersed with sixteen multi-stem Amelanchier canadensis (shad). 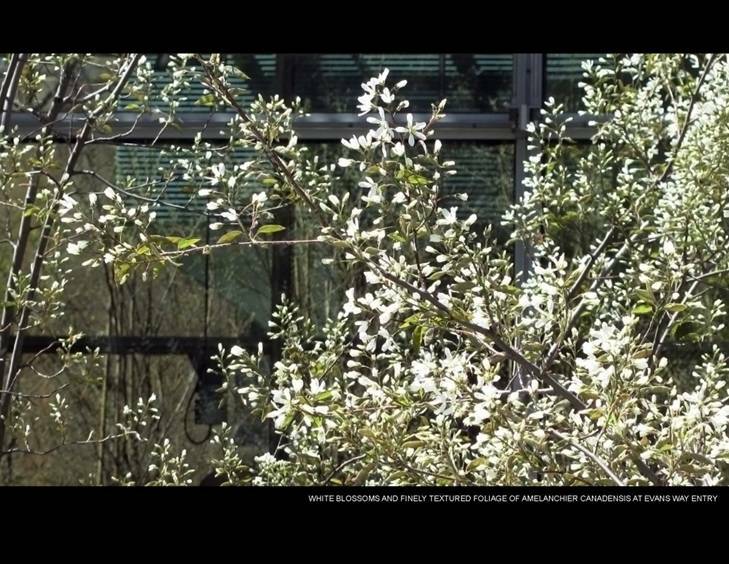 The delicate foliage and blossoms of these species reinforce the fine scale resolution of the new entry lobby and greenhouse sunscreens. A specimen Chionanthus retusus (fringetree) anchors the west end of the greenhouse to punctuate the lines of trees with similar white flowers in the spring, finely textured leaves in the summer, and yellow autumn foliage. 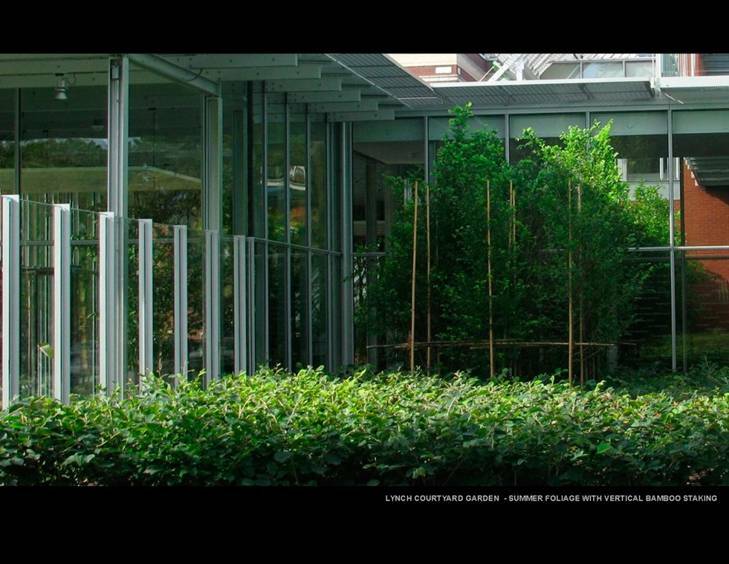 The Lynch Courtyard is a temporary garden exhibition room where a different landscape architect or garden designer will design a new garden in several years. A tightly-spaced gridded grove of sapling Ulmus parvifolia ‘Dynasty’ (lacebark elms) are planted in pots to accommodate three years of growth prior to being removed and distributed to sites in the Boston area in anticipation of the next garden installation. This grid of juvenile elms is arranged as they would be in a nursery — a pattern that alludes to agricultural and horticultural practices and, in turn, extends the cultivation practices of the Museum’s on-site propagation greenhouse into the gardens. In the Boston area, the lacebark elms are a semi-evergreen species and will hold their brilliant yellow fall foliage into early winter. 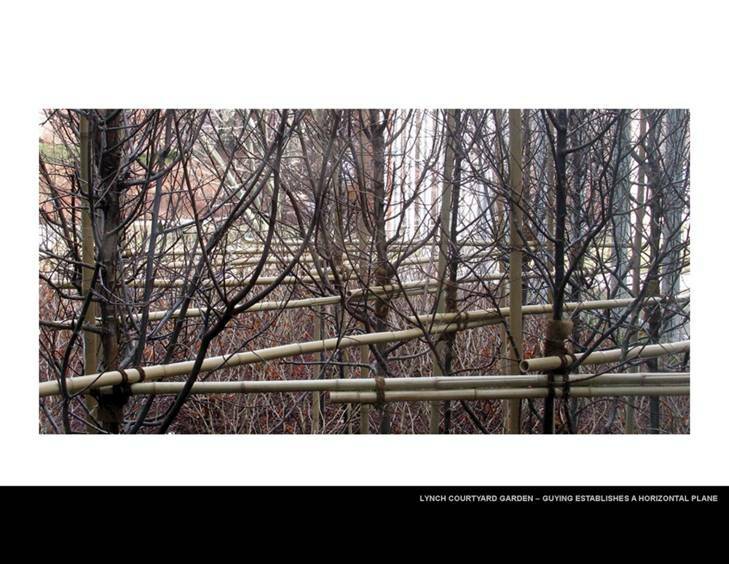 The elms are kept in precise alignment with bamboo guying derived from Japanese horticultural practices meant to sustain and protect young saplings — a process that has been an ongoing research agenda for the landscape architect. Two hundred and sixty four feet of bamboo are connected on a series of forty-five degree diagonals that are tied together with two hundred and ten meters (690 ft.) of palm rope and jute tree wrap. 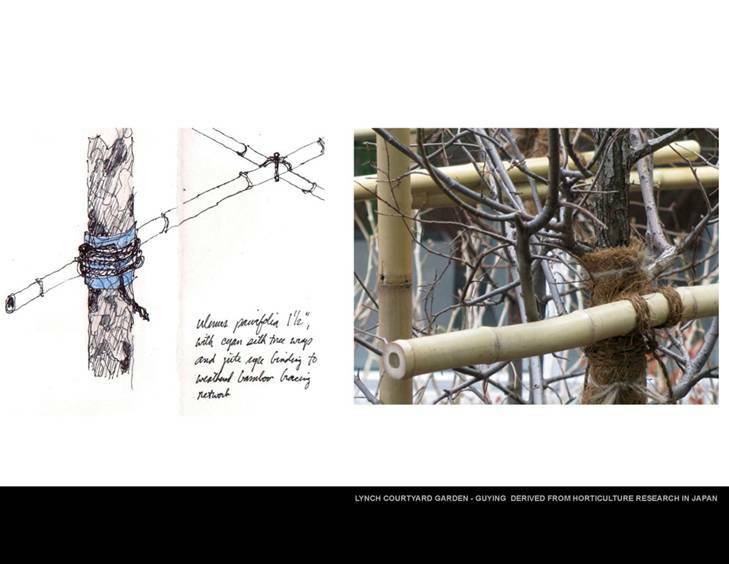 The woven bamboo system acts integrally to support and buttress the young trees. The precise horizontal plane of the bamboo guying establishes a spatial datum that integrates the garden with the rectilinear planes of the Renzo Piano-designed museum addition. Planted under the elms are Hamamelis x intermedia ‘Jelena’ (Jelena witchhazel) arranged in a quincunx (again utilizing an agricultural planting pattern) to maximize coverage through the garden. The witch-hazel also has a vibrant yellow fall leaf color, but is better known for is conspicuous copper and yellow-toned flower during the winter which were in full bloom at the Museum’s opening in January 2012 and shortly thereafter enhanced by a light snowfall that accentuated the tiny saffron-like flowers. Scilla siberica (squill) are, in turn, planted beneath the witchhazel and carpet the ground with bright blue flowers in early spring. 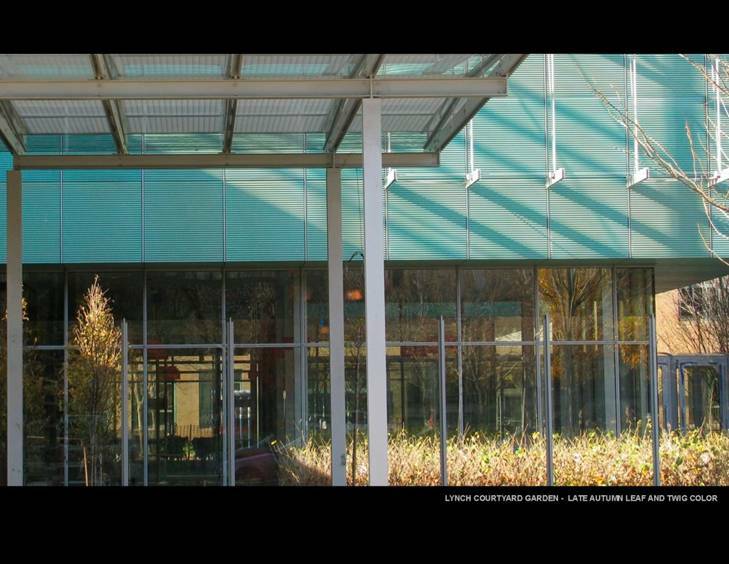 A grove of Carpinus caroliniana (American horn-beams) and Pinus bungeana (lacebark pines) envelopes the glass corridor between the Palace Museum and the museum expansion. Sunlight is modulated by the trees to reduce the contrast between the bright sunlight of the expansion and the dim light of the Palace Museum. The lacebark pines provide exceptional winter structure and superb bark interest. In 50 years, these pines will be the aristocrats of the garden. Another temporary garden is the Monk’s Garden which lies south of the Palace Museum. An earthwork plateau was constructed to establish a horizontal extension of the Museum loggia. A meandering path descends west to east between this plateau and the existing sloping bank along the perimeter brick wall of the museum grounds. Both the plateau and the sloping bank were then clad with seven thousand square feet of Vaccinium angustifolium (lowbush blueberry) sod which adds volume to the ground surface as well as elegant foliage, edible berries, russet fall foliage, and a reddish winter thicket of stems. An existing rockery in the northeast corner of the Monk’s Garden was uncovered and existing paths restored along the east and south perimeter of the garden wall. The landscape architect first worked with the Museum fifteen years ago when he designed a winter exhibition in the courtyard of the Palace Museum with the Museum’s Chief Horticulturist. 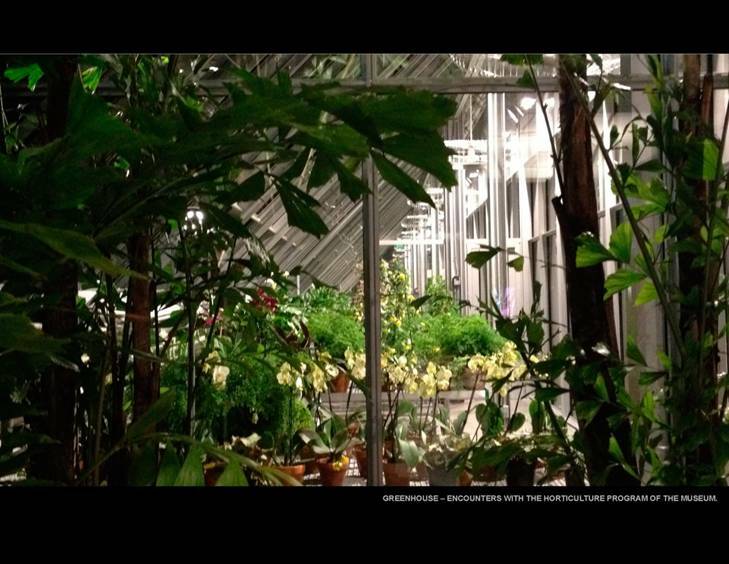 The expansion includes a new greenhouse which is open to the public and visible from the street. This visibility of the horticultural program, and other activities such as education and conservation, amplify the Museum Director’s aspiration for a living museum — one where the workings of the museum are both more fully understood and more widely celebrated. 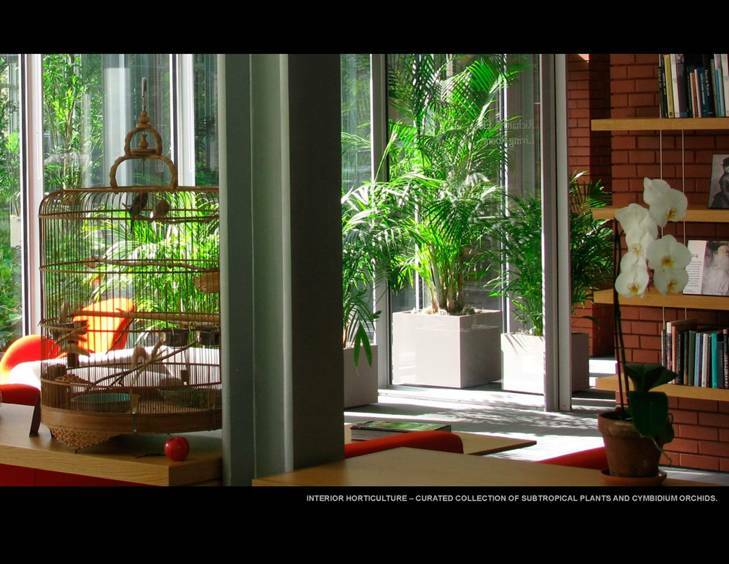 Using the museum’s collection of greenhouse plants, the celebration of horticulture in the courtyard and gardens continues with the placement of palms in the new lobby and precise siting of subtropical plants in other rooms of the expansion that hint at the botanical splendor of the courtyard. The gardens are a carefully curated collection of plants with spatial, textural, horticultural, and cultural resonance. 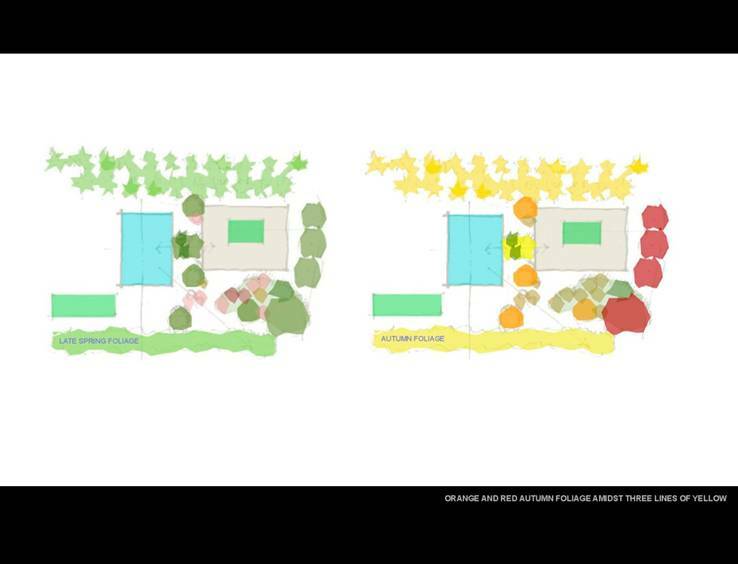 Among the significance of the project is the “gardener’s method” of on-site adjustments of aspects of the spatial and planting composition of the gardens. Since the overall project began with another landscape architect who resigned the commission, the gardens were fully redesigned and constructed on a very tight seven month schedule of which the final two months were in the winter. The landscape architect collaborated directly with the Museum Director and Chief Horticulturist who were deeply engaged in the design and construction of the gardens. 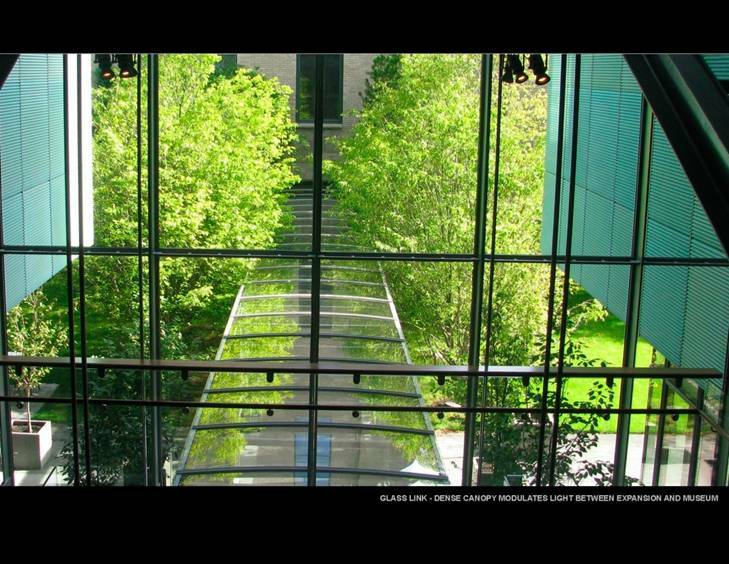 The landscape architect’s agreement was directly with the museum client as prime consultant on the landscape and gardens. An extensive array of allied professionals — architects, landscape contractors, construction managers, engineers, horticulturists, arborists, visual artists, and nurseries — were critical to the success of the project. This entry was posted in News on December 26, 2013 by rhodeislandasla.